Tip: See my list of the Most Common Mistakes in English. It will teach you how to avoid mis­takes with com­mas, pre­pos­i­tions, ir­reg­u­lar verbs, and much more. 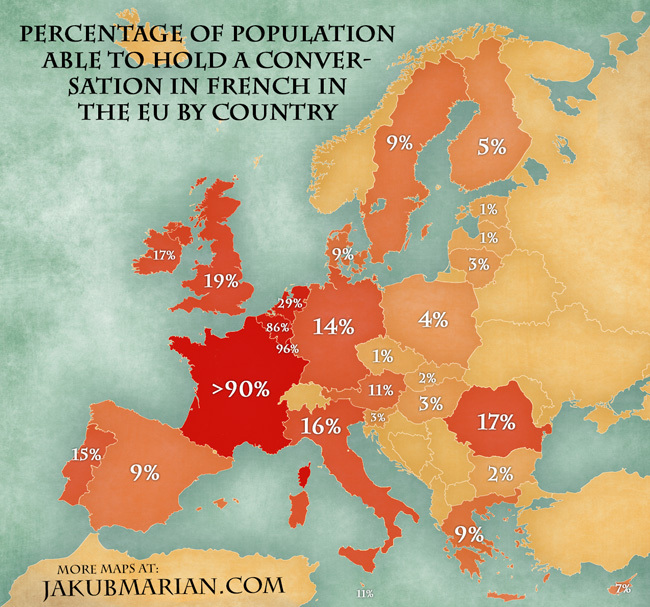 French is a Romance language, and as such one would expect the percentage of its speakers to be much higher among native speakers of other Romance languages in comparison to native speakers of Germanic languages, but the map shows this is not really the case. However, knowledge of French among speakers of Slavic languages seems to be consistently lower. The map is based on the “Special Eurobarometer 386” and on the number of native French speakers in the respective countries (the data is from 2012, so Croatia is not included). Please note that data is self-reported, which means that some nations may overestimate or underestimate their ability to speak the language. A precise figure for France is not available; the available data sources give a result of exactly 90%, but this is probably a slight underestimation. Do you like the map? Show your support by sharing it.Sharing with attribution helps me create more maps. By the way, I have written several educational ebooks. If you get a copy, you can learn new things and support this website at the same time—why don’t you check them out? I will send you one of my ebooks for free as a little gift. You can use the image on another website, provided that you link to the source article. 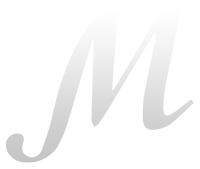 If you share it on Twitter or Facebook, I kindly ask you to tag my profile @JakubMarian. If you share it on reddit, please, share a link to the whole article and give credit to my subreddit r/JakubMarian in the comments.